TV celebrities are almost as popular as Bollywood celebrities and hence it is not surprising that their fans love to share their joys and sorrows in a similar manner. Check out the below list of most popular TV celebrities who gave another reason for celebration t their fans by tying the knot in 2016. 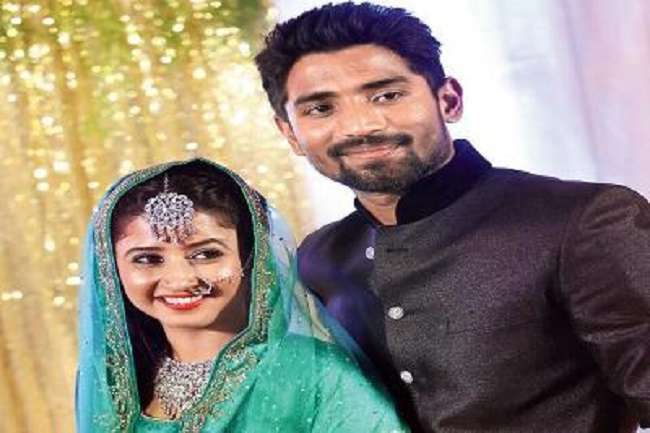 Sana Amin Sheikh And Aijaz Shaikh: Sana Amin, who has impressed the audiences with her portrayal of Aradhaya, in the TV series Krishnadasi, married the shows director, Aijaz Shaikh, on 14th Jan 2016. The two day long ceremony was conducted according to traditional Muslim rituals and was attended by the friends of the couple from the industry. 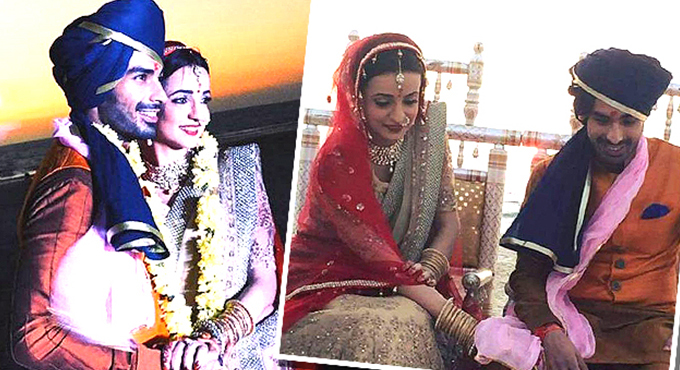 Sanaya Irani And Mohit Sehgal: In addition to being the most cutest couple on-screen, Sanaya and Mohit have been considered equally adorable as a couple in their real life. 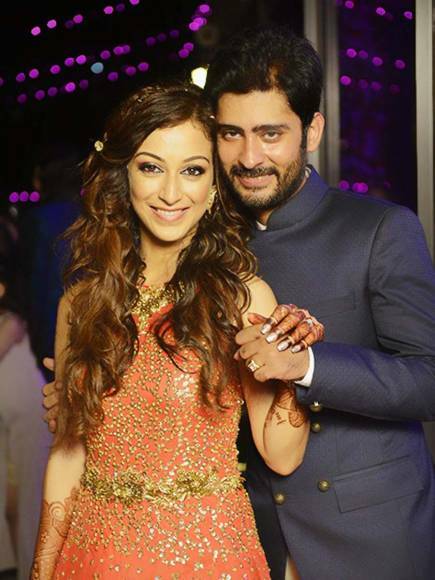 The two finally tied the knot on 25th Jan in Goa at a big fat wedding, which was attended by a host of TV stars, who surley had great fun at this destination wedding. Sunayana Fozdar And Kunal Bhambwani: Sunayana Fozdar, who won the hearts of countless people as the Sameera, in the show Quabool Hai, married her boyfriend, Kunal Bhambwani, whom she had been dating for over three years, on 12th March 2016. The wedding was a low key event attended only by the closest friends and family members of the couple. 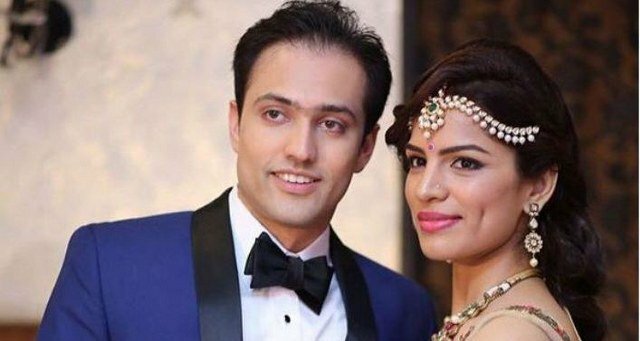 Shikha Singh And Karan Shah: Television’s notorious vamp, Aliya aka Shikha Singh, tied the knot with pilot Karan Shah on 1st May 2016 in a privately held wedding ceremony. The marriage, which was conducted as per Gujarati customs, was attended only by the family members and close friends of the bride and the groom. Divayanka Tripathi And Vivek Dhaiya: One of the most loved couples of Television industry, Divyanaka Tripathi and Vivek Dhaiya, took their wedding wovs, on 8th July 2016 in a grand wedding conducted in Bhopal. The couple even held a spectacular reception in Mumbai especially for their friends from the industry, before which a reception was also organized in Dhaiya’s home city Chandigarh for friends and relatives of the couple and their families. Next: BOOK MARKETING ON FACEBOOK: KUNAL MARATHE SHARES SOME TIPS!